Homes and residential areas are becoming increasingly popular for rat infestation. These areas offer safety, warmth, and easy access food – everything a rat could ever want to begin breeding. No matter how clean your home is, a rat infestation is still a possibility in the Fort Worth area. Before we begin to clean and repair damage to your home, our wildlife experts will remove the rat infestation from your home and take measures to help ensure they don’t return. Once the animals have been removed and excluded from your home, our technicians can set to work making it seem like the rats were never there. Our team is comprised of cleanup and repair technicians, as well as contractors capable of handling the toughest restoration jobs. We have environmentalists on staff as well to ensure that our practices are as effective and eco-friendly as possible. 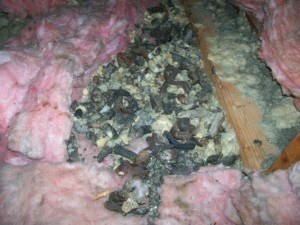 Rats are most often found in the attics of homes, which is where we see most of the damage done. One of the most common types of damage we see on a regular basis is to attic insulation. At rats begin nesting, they often tear up insulation to build their nests, soiling it in the process. This ruins the efficiency of the insulation, increasing your energy bills. Rats also like to chew on wooden roof joists, electrical wiring, plumbing, or anything else they can sink their ever-growing teeth into. 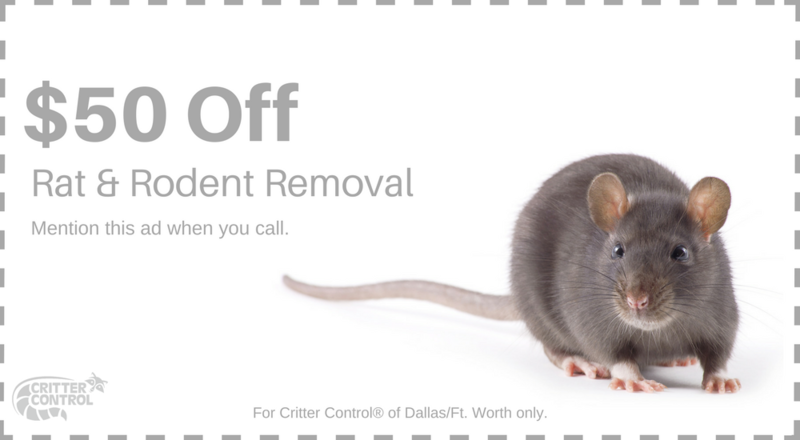 Critter Control® of Fort Worth is your total solution for animal removal, exclusion, and cleanup. Call our office today at 469.805.6267 or fill out a Contact Us form to schedule your free home inspection.